Sitting on the back of the motorbike forces me to give up control – though I`ve been known to give my husband`s helmet a good thwack when the acceleration is too fast or the curves taken too dramatically. But, we make a good riding pair. I plug in my iPod, turn up the oldies, and rock away as the scenery whizzes by. Living in the country means we have glorious landscapes at our door-step. 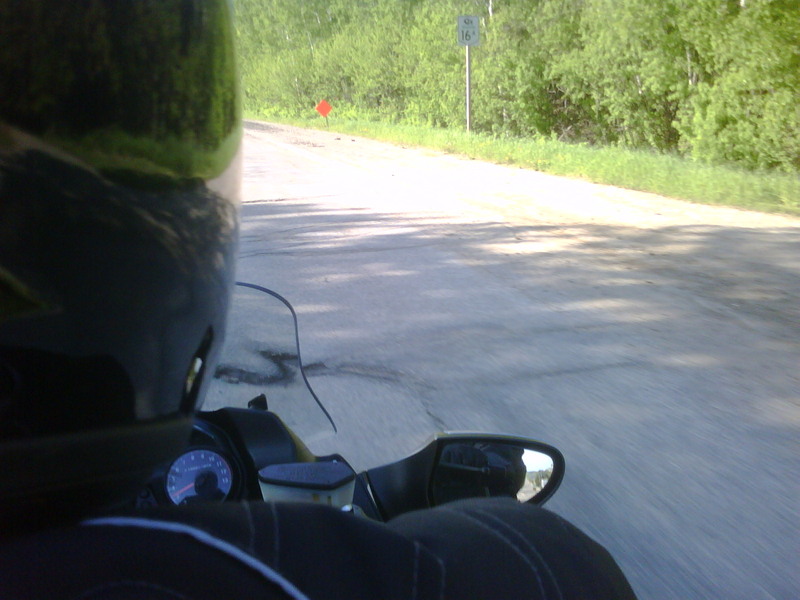 During the riding season, senses are are tickled with the smells of spring seeds, summer greenness and fall harvests. They`re also bombarded with the earthy aromas of livestock and the occasional manure-covered field. Today we saw the remnants of spring floods on rivers and fields. My mind relaxes and the stresses lift. Speeding up helps me to slow down.